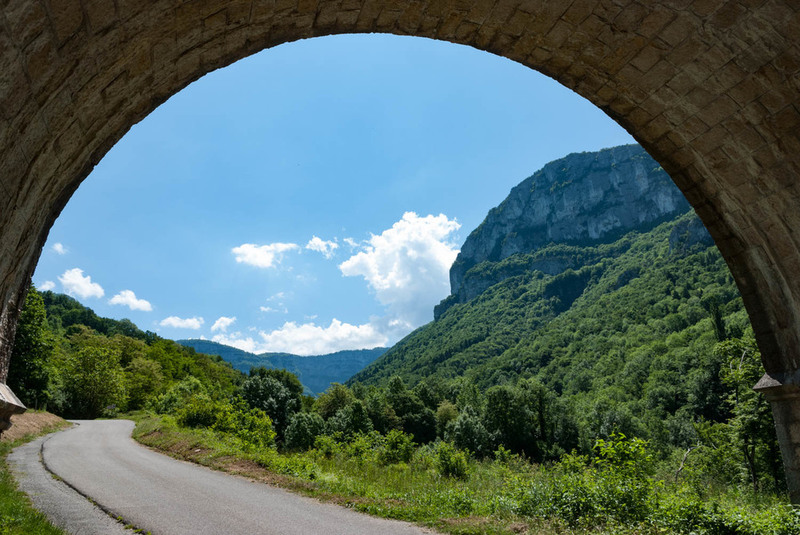 "Frequently recognized as the most magnificent road in the French Alps"
"Route de Presles is a stunning mountain road located in the Isère department in southeastern France." "It’s one of the most spectacular balcony roads in the country." Although this looks like a scenic road along the bottom of the mountains it's about 1000m up on the plateau. At the bottom of the Gorges de la Bourne is the pretty town of Pont en Royan with it's "hanging" houses. "It’s one of the most spectacular roads in the world"
... and the view on the other size of the road. This road is quiet enough for to allow pictures . Then insert some dynamite and stand well back.